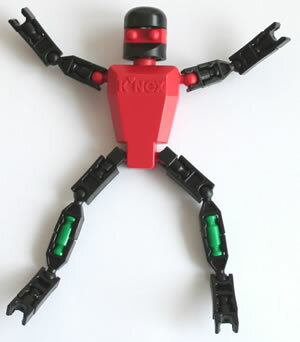 The K'NEX Hub/Pulley Small (see photo) and the K'NEX Hub/Pulley Medium are designed to be used as pulleys, as well as being used as the hub of a tyred wheel. 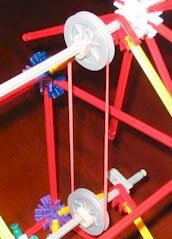 Two pulleys and a rubber band may be used together to make one rod turn another rod in a model such as a windmill. 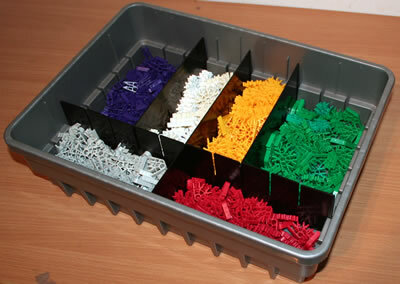 Some KNEX sets include a rubber band which is ideal for this purpose. 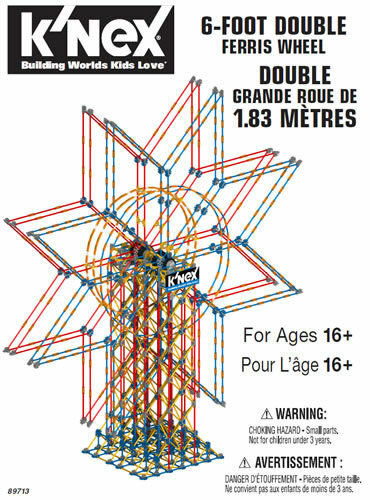 See Hint W6 to ensure that that your pulleys turn the rods on which they are placed. 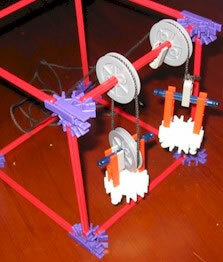 One or more pulleys may also be used with a length of string, for instance in a block and tackle, or a crane.